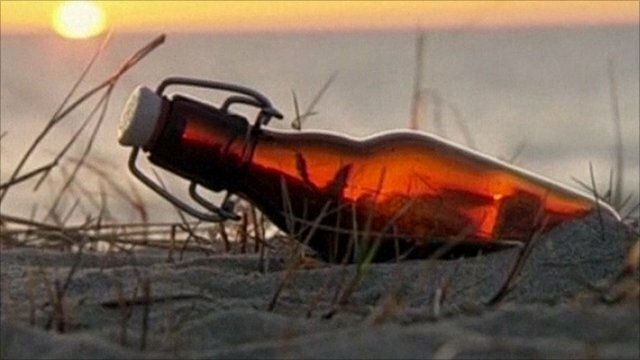 'Message in a bottle' is answered Jump to media player A German boy who tossed a message in a bottle off a ship in the Baltic Sea some 24 years ago has now received an answer. 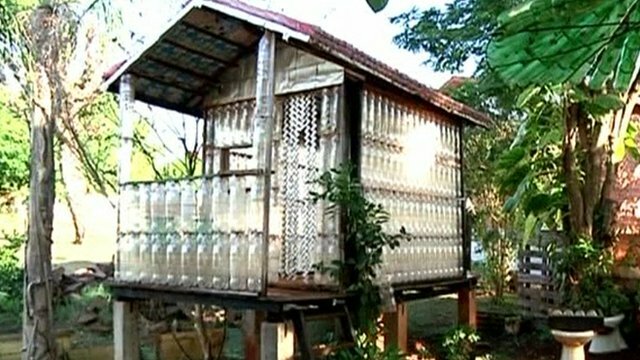 A man in Argentina who built his house and furniture out of plastic bottles has been so successful that he is now teaching other people how to do the same. Alfredo Santa Cruz survived during Argentina's economic crash in 2001 by sorting through rubbish heaps in search of items he could sell but now he has found a new way of making a living.